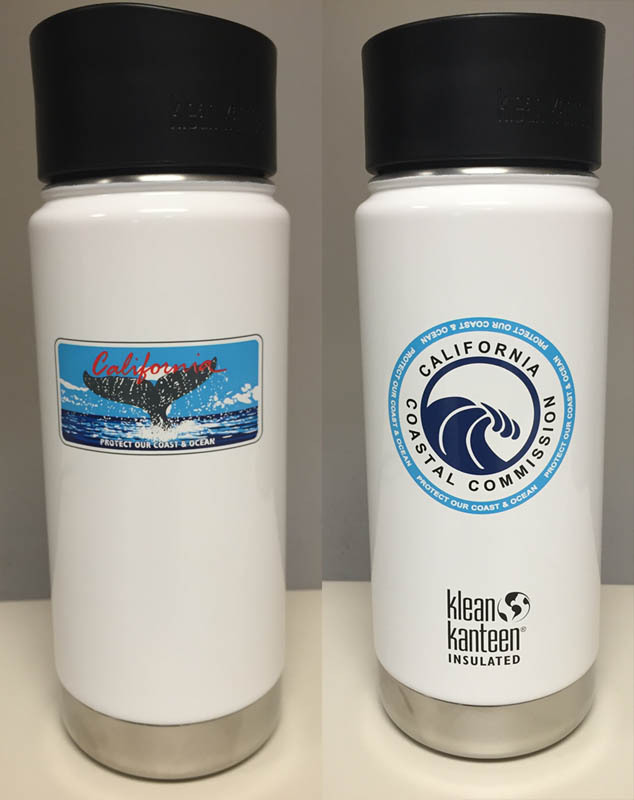 Insulated stainless steel mug made by Klean Kanteen. 16 ounces, comes with a café cap. Keeps hot and cold drinks safely contained.